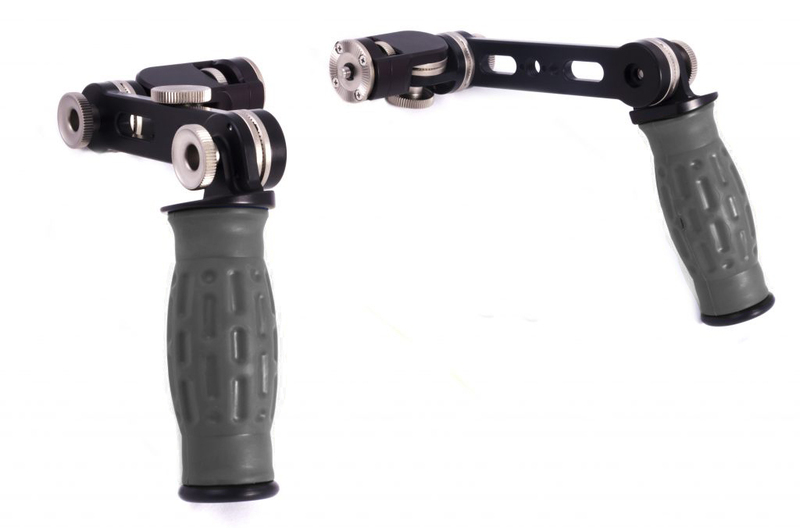 Spidergrips handset complete with left and right 6 in. 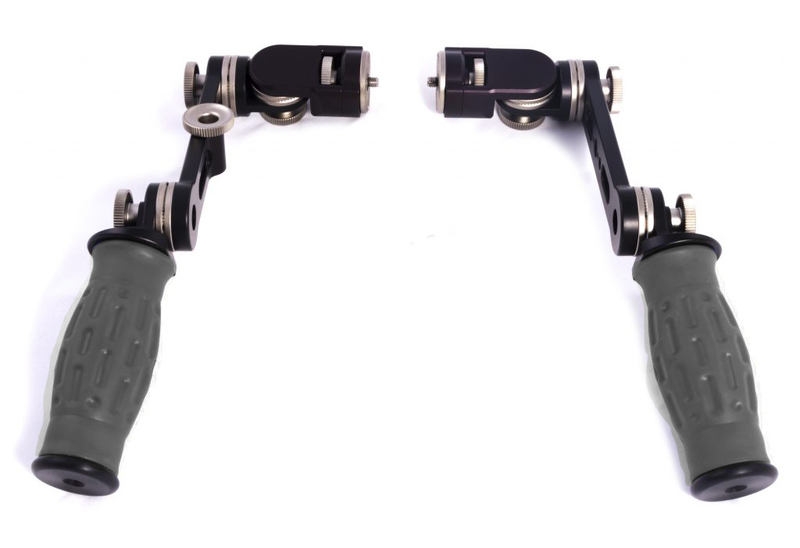 standard extension bars and left and right side camera rosette adapter brackets (item #SP-CRB), replacing the center rod bracket. 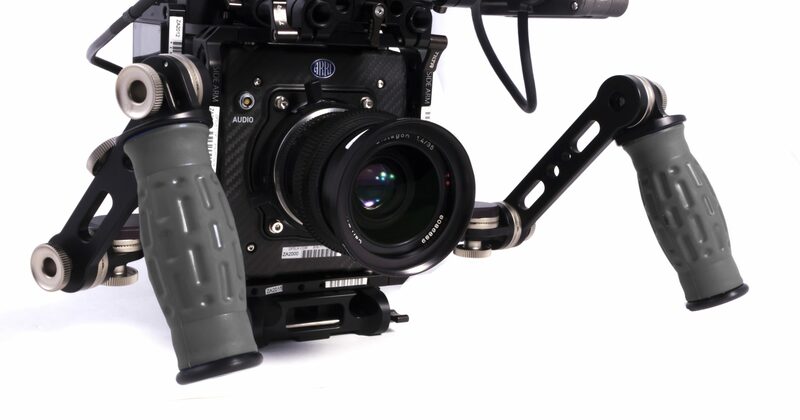 Left side adjustable extension bar has 3/8-16/ 3mm registration pin holes for Arri accessories and 1 (one) 1/4-20 UNC threaded hole for other accessories.